The King of Clay kept his dominant run on his favourite surface going with another title in Barcelona, adding to his legacy while a few surprises had career-best runs. Three first-time finalists had their exciting weeks overshadowed by yet another predictable clay court blowout by the King. Rafael Nadal romped to another crown, while a pair of surprise finalists duked things out in Budapest. More of the old and a bit of something new was the story this past week. Here is your ATP Weekly Update for week 17 of the 2018 season. Much like the week before in Monte Carlo, the question wasn’t so much whether Rafael Nadal would win the Barcelona Open, but how much resistance would he meet in the process. The opposition failed to even really show up this past week in Barcelona as what was supposed to be a tough draw for the world number one fell apart, leading to another romp to his second undecima in as many weeks. Check out the full final recap here. 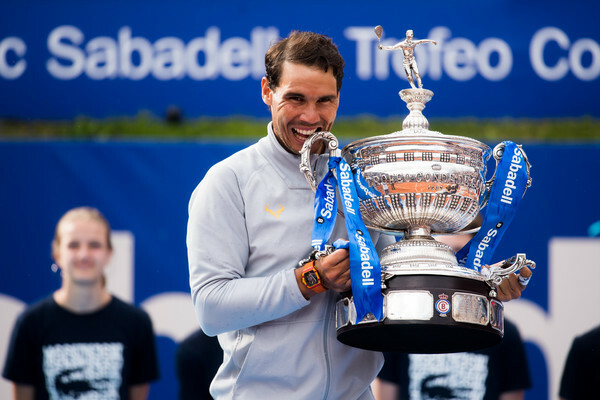 Nadal extended his clay-court winning streak to 19 matches and his sets won streak to 44 by claiming his 11th Barcelona title, once again without dropping a set. The King of Clay stormed through the draw, taking out a pair of countrymen before surviving his first test of the clay court season against Martin Klizan, who had upset Novak Djokovic in the second round, in the quarterfinals. The Spaniard rebounded to rout fourth seed David Goffin in the semifinals before crushing 19-year-old first-time finalist Stefanos Tsitsipas 6-2, 6-1 in a blowout final. 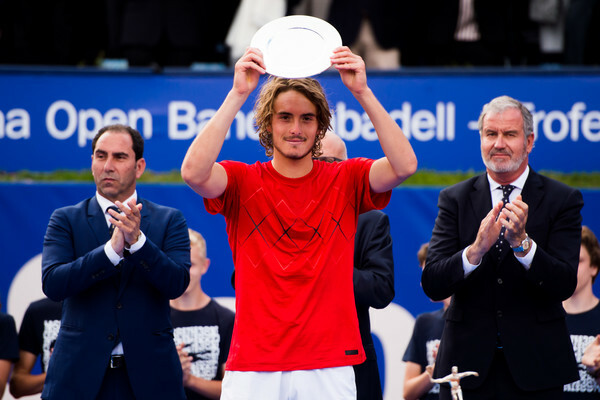 Tsitsipas made an incredible run in Barcelona to reach the first final of his young career, taking out four seeded players in five matches to reach the final, including 2017 runner-up Dominic Thiem in the quarterfinals. Unfortunately for the young Greek, who became the first man from his country to reach an ATP World Tour final since the 1970s, he got dealt the hardest possible opponent for his first ever final. Still, it was a positive sign of things to come for the former junior world number one. While one of last week’s tournaments had a super predictable result, the other tournament did not. 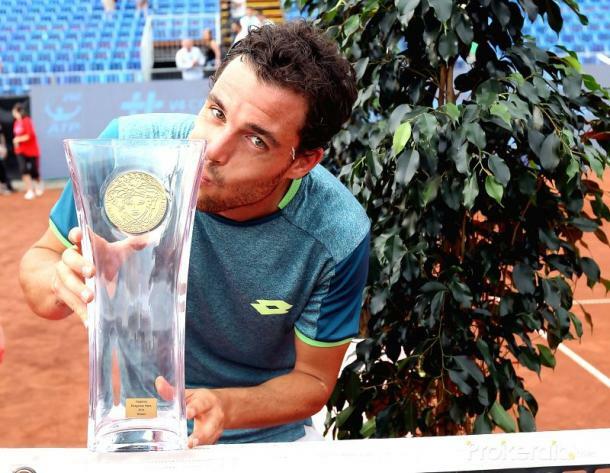 When the dust finally settled in Budapest, Marco Cecchinato, who got into the draw as a lucky loser, was holding the first trophy of his career having won the Hungarian Open in a battle of first-time finalists. The Italian edged journeyman John Millman, who at age 28 had finally reached the final of a tour-level event, in straight sets to claim the crown in Hungary. Millman had made the headlines during the week having upset defending champion and top seed Lucas Pouille in the second round before coming from a set down in the next two rounds to reach the final. Cecchinato followed a similar path, upsetting second seed Damir Dzumhur in the second round before mounting consecutive comebacks. Regardless of the winner in the final, it would be a textbook Cinderella story. In the end, it was the Italian who saw his story through with a narrow 7-5, 6-4 victory. Despite losing his first career final, the 19-year-old jumped 19 spots up into the top 50 in the rankings for the first time to a new career-high at number 44. Budapest champion Marco Cecchinato made the largest jump of the week, climbing 33 spots from his career-high of 92nd in the world to a new high of number 59. The man he beat in the final, John Millman, also made a big climb, moving up 25 spots to number 69. Just like last week, one of the most significant moves was one that didn’t happen, as Rafael Nadal hung on to his number one ranking by defending his title in Barcelona. Week 17 had very little influence on the Race to London. The only real change was Rafael Nadal moving up another spot, past Marin Cilic into third in the race. On the outside, Dominic Thiem and Roberto Bautista Agut each inched up a spot to within less than 100 points of the eighth and final qualifying spot at the expense of Kyle Edmund. There are three tournaments on the schedule this week, all at the 250 level. Kevin Anderson and Kyle Edmund will both look to reignite their Race to London campaigns this week as they lead the field at the Estoril Open. Anderson is the top seed and Edmund is third, with defending champion Pablo Carreno Busta slotting in between them as the second seed. 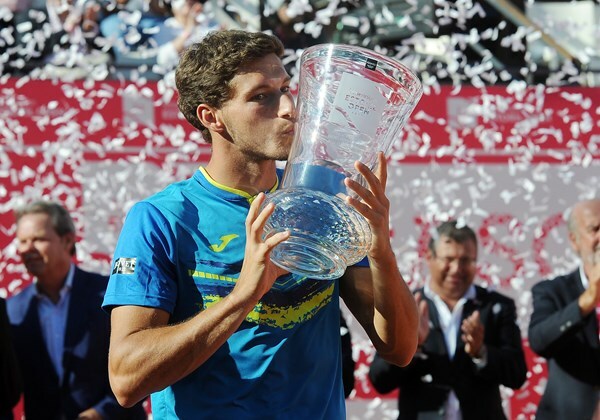 Carreno Busta is the only former champion in the draw. Anderson could have his hands full early as Barcelona runner-up Stefanos Tsitsipas is his potential second-round opponent. Gilles Muller, Albert Ramos-Vinolas, Robin Haase, Leonardo Mayer and Daniil Medvedev. Ecuador Open champion Roberto Carballes Baena also lurks in the draw. 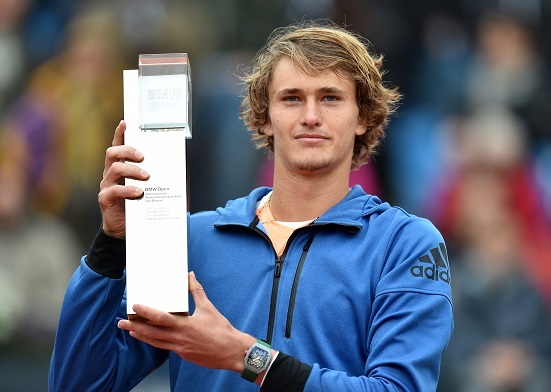 World number three Alexander Zverev is back on home soil and looking to defend his title this week at the BMW Open in Munich. The top seed is joined by a deep clay court field which includes five other clay court winners among the top eight seeds. Those men are Roberto Bautista Agut, Diego Schwartzman, Fabio Fognini, Gael Monfils, and three-time Munich champion Philipp Kohlschreiber. Zverev, Kohlschreiber (2007, 2012, 2016) and Martin Klizan (2014) are the three former champions in the draw. The host nation will be well represented, with 11 of the 28 spots in the draw going to Germans. Young gun Hyeon Chung will kick off his clay court campaign in Munich, where he is the fourth seed. 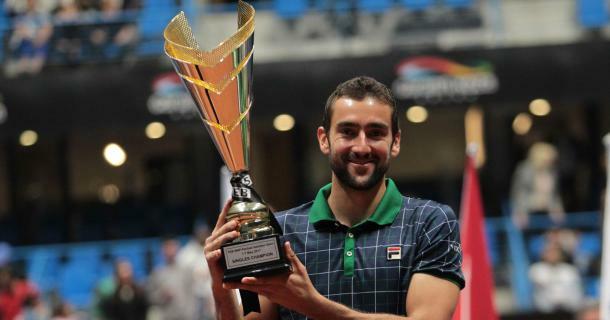 Defending champion and world number four Marin Cilic will like his chances of defending his title this week at the Istanbul Open, as the Croatian is the only top-30 player in the draw. He is also the only former Istanbul champion in the draw. World number 32 Damir Dzumhur is the second seed, the only other top 50 player in the draw. Two former clay court titlists, Italians Andreas Seppi and Paolo Lorenzi, are seeded third and fifth respectively. Three other seeded players, fourth seed Aljaz Bedene, seventh seed Jiri Vesely, and eighth seed Nikoloz Basilashvili, have reached clay court finals in their careers. Viktor Troicki rounds out the seeds.